The offer mentioned in this post is out of date, so all links have been removed. For the best current rewards card offers, see here. In my experience, if you cancel a Citi card, Citi will refund you a prorated portion of your annual fee. This makes the Citi ThankYou® Premier Rewards Card an even better offer because you don’t necessarily have to pay all of the card’s $125 annual fee to get all of the card’s 50,000 point split sign up bonus. Most rewards cards come with an annual fee that you must pay to hold the card. The annual fees on my cards range from $65 to $450. Many rewards cards waive that annual fee for the first year, and then when an annual fee is coming up after one year, I do a simple cost-benefit calculation to determine whether to continue holding the card or to cancel it. The Citi ThankYou® Premier Rewards Card comes with no annual fee the first year, then $125. Keeping the card for the second year is a no-brainer due to the split nature of its massive sign up bonus. ThankYou Points are worth 1.25 cents toward any flight on any airline with no blackouts. Alternatively, you can transfer ThankYou Points to seven airlines and one hotel at a 1:1 rate on those airline/hotel award charts. Transferring to Singapore Airlines and redeeming for United flights within the United States (including Hawaii and Alaska), Canada, Central America, South America, and the Caribbean will likely net you way more than 1.25 cents of value, especially because you can add two free one ways to each award. Singapore Airlines is a member of the Star Alliance, so its miles can be used to book flights on any of the 27 member airlines. What’s my recent experience getting a partial refund on my annual fee from Citi? How does this apply to the ThankYou Premier? What is the ThankYou Premier’s sign up bonus worth? In May, I called Citi to cancel my Citi Business American Airlines MasterCard. I couldn’t justify the $95 annual fee. I was offered a retention bonus, extra miles for spending on the card for the next few months. (Sorry, I actually forget the exact bonus offered.) I decided not to cancel for the moment, so that I could consider that spending bonus. Through a bit of stupidity, I didn’t start to meet the spending challenge nor did I cancel the card. A few days ago, I called in and asked to cancel the card. I asked for my $95 annual fee to be refunded. The agent said that she could only refund a prorated portion of my annual fee. I got back $71.25, which is 9/12 of the annual fee. I once cancelled a Platinum card with one or two months left before the next annual fee and got a tiny portion of my last $450 annual fee refunded too. This seems to be a consistent policy from Citi that whenever you cancel a card, you can get back a prorated portion of your last annual fee. Your mileage may vary. If you opened the Citi ThankYou® Premier Rewards Card today and earned 20,000 points after $2,000 in purchases within the first 3 months of account opening, you would have to pay your first annual fee in August 2015. Then you could earn an additional 30,000 points after another $3,000 in purchases within the first 3 months of your second year of being a cardmember. You’d have earned 55,000+ ThankYou points for the spending and bonuses–the “+” is because the card has big category bonuses too–and you’d have paid $125 in annual fees. All the points will have posted about four or five months into the second year of cardmembership at the latest. My bonus points on the card have posted on the same statement on which I met the spending threshold. Once you redeem or transfer all those points, you can decide whether the card still makes sense to hold. When doing this calculation, consider that the card has a “monthly fee” of about $10 because if you cancel, you’ll get back about $10 per month for each month less than 12 that you’ve held the card. Do the same cost-benefit analysis I always suggest to decide whether to keep or cancel a card. If you decide the card is not worth the cost of over $10 per month, you can cancel and get most of the only $125 annual fee you ever paid back. I’m not suggesting you cancel the card. Earning three Singapore miles per dollar on entertainment and dining is huge! For many people, the ThankYou Premier is a card they should hold forever and put a lot of their spending on. 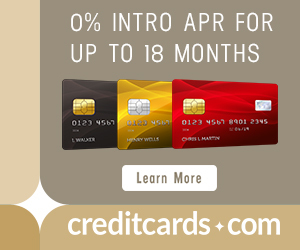 But if the card doesn’t tempt you to use it very much, then you might not want to keep paying over $10 per month to hold it. If you cancel it, you’ll get back a prorated share of the $125 annual fee. What is the Sign Up Bonus Worth to Me? I’d value Singapore miles at 1.6 cents each. I think many, many redemptions will get a higher value than that though. 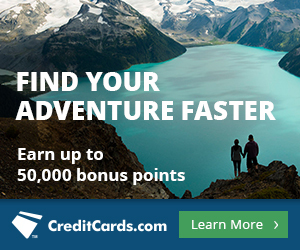 The 50,000 point sign up bonus on the Citi ThankYou® Premier Rewards Card would be worth $800 at that valuation. You can’t get the last of the 50,000 points until about two to five months into the second year depending on how quickly you spend the $3,000. That means you’ll always have to pay about $21 to $53 of the second year’s $125 annual fee to get the full sign up bonus, reducing its value to $747 to $779. This is my valuation of the sign up bonus. Yours may differ. I got the Citi ThankYou® Premier Rewards Card in February 2014. I’ve gotten my first 20,000 point bonus, and I look forward to 30,000 more bonus points in early 2015. I haven’t decided if I’ll ever cancel the card. Check out Why I Got the Citi ThankYou Premier. I eat out a lot, so 3x points per dollar that I can transfer to Singapore Airlines is a huge draw that makes me want to keep this card indefinitely. In my experience, whenever you cancel a Citi card, you are refunded a prorated share of the annual fee for the months less than 12 that you’ve held the card since your last annual fee. That means that you do not have to pay a full $125 to get the entire 50,000 point split sign up bonus on the Citi ThankYou® Premier Rewards Card. Thought that Citi is changing the bonus categories later this year and lowering the dining bonus? Not on the TY Premier. fee for another year? Anybody ever have this happen? I’ve been offered that before, but I was not offered that on my call about the AA biz card. Would the same prorated refund apply to the Citi Elite card? Should apply to all cards. I would not expect a statement credit to be clawed back. What about the Citi executive past 60 days from annual fee?